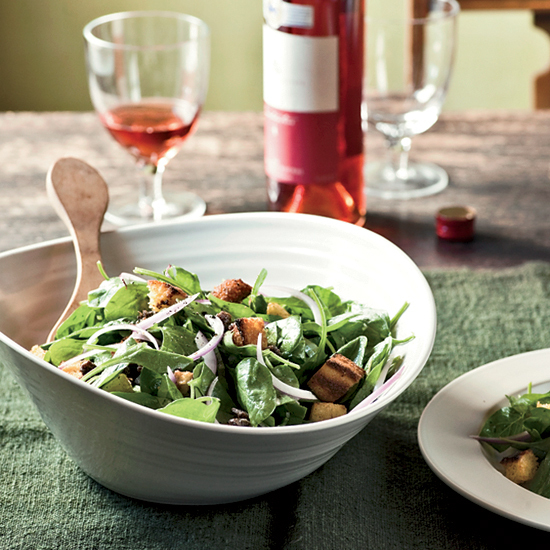 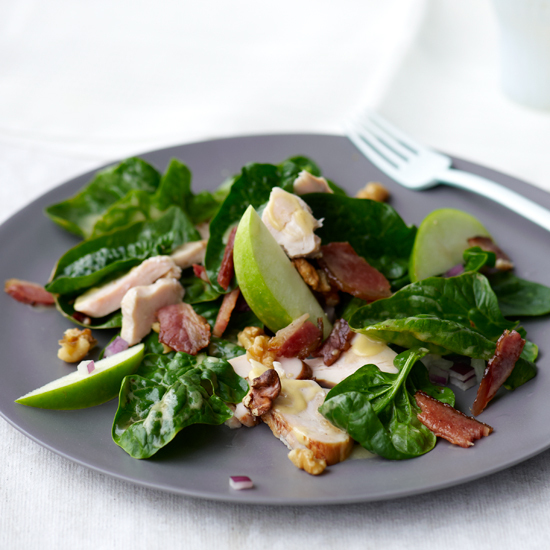 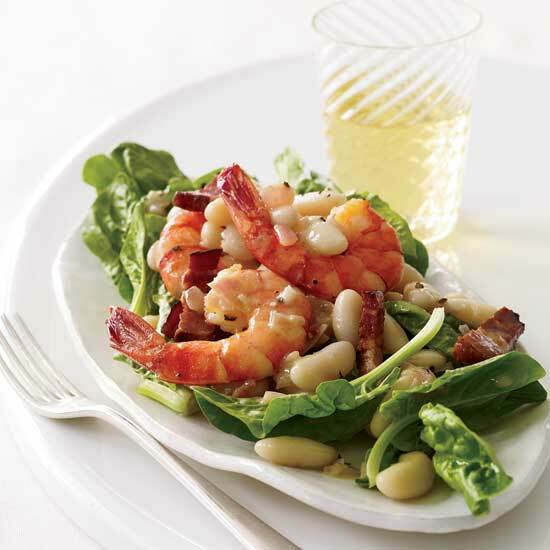 A spinach salad with bacon and buttermilk-blue cheese dressing, one with garlic-cider vinaigrette and another with corn bread croutons are only a few of the very many spinach salad recipes that actually have us enjoy eating greens. 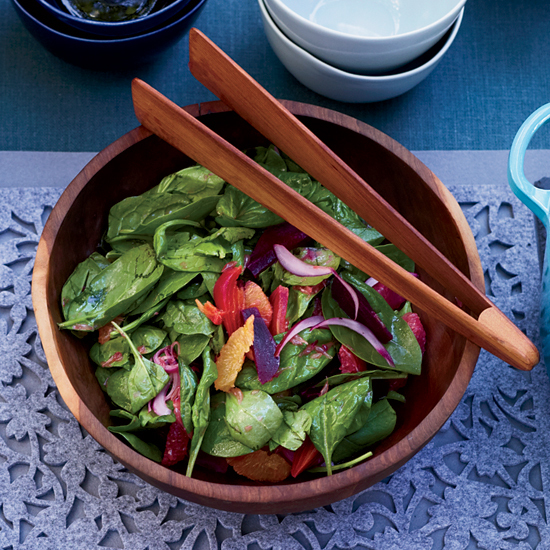 Food & Wine’s Justin Chapple uses vegan coconut yogurt as the base for a terrific healthy version of ranch dressing. 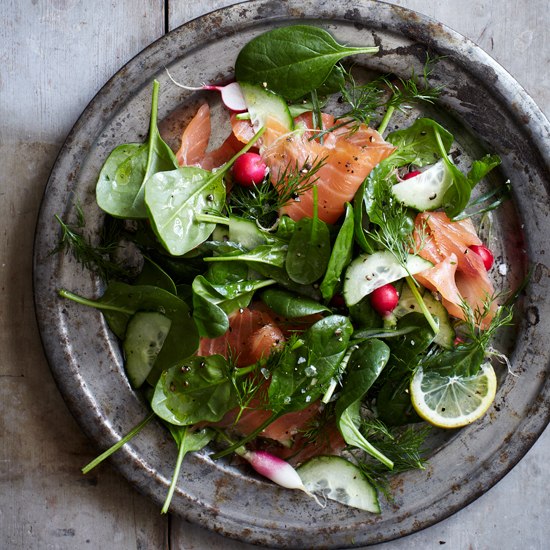 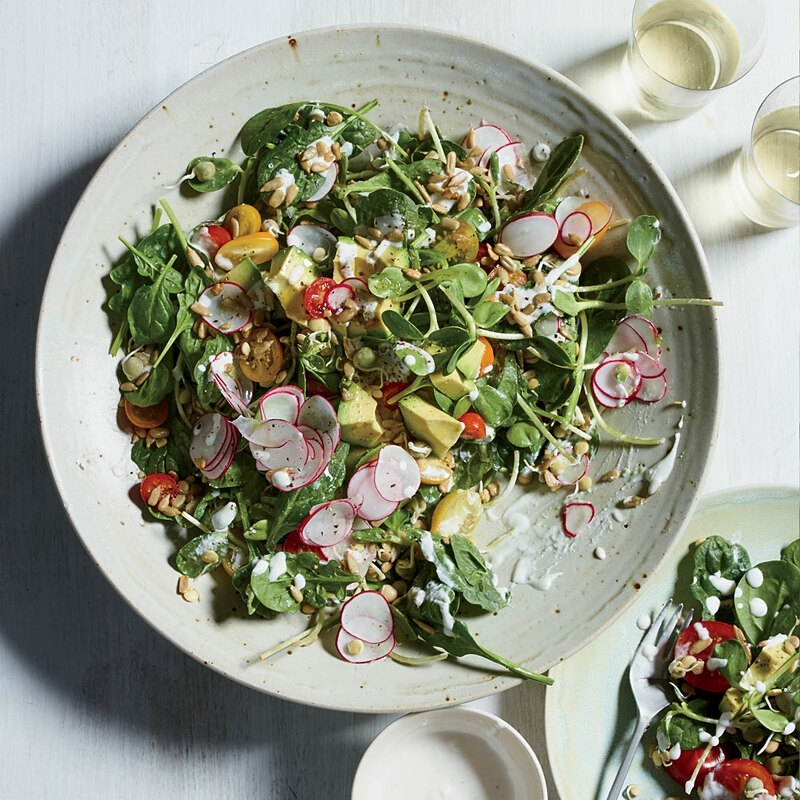 It’s wildly versatile but also especially tasty on this supercrunchy sprout-packed salad. 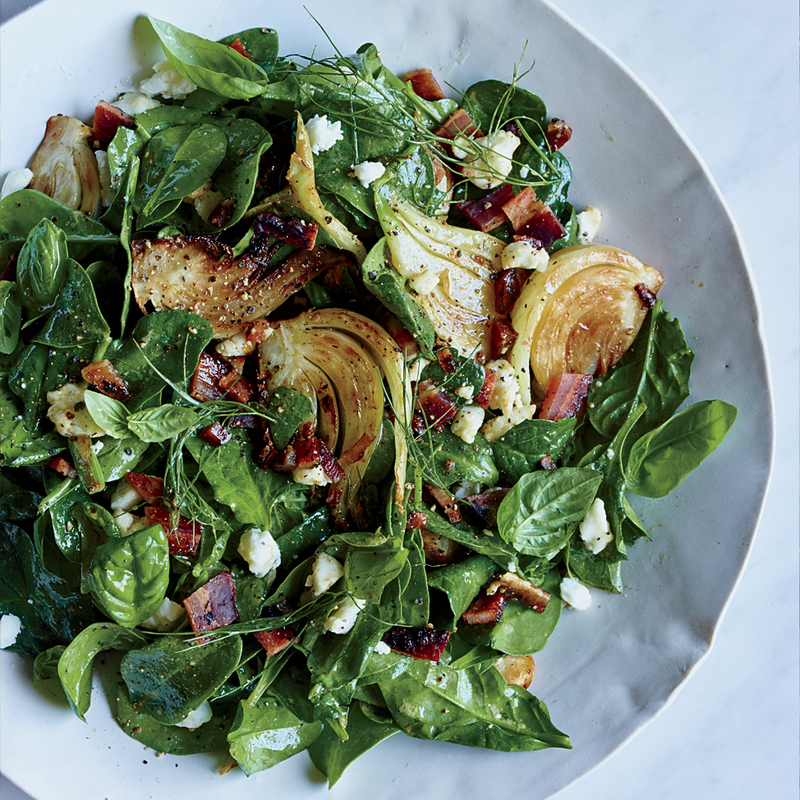 Chef Alex Guarnaschelli puts her spin on spinach salad by adding sweet candied bacon, salty feta cheese and sauteed fennel. 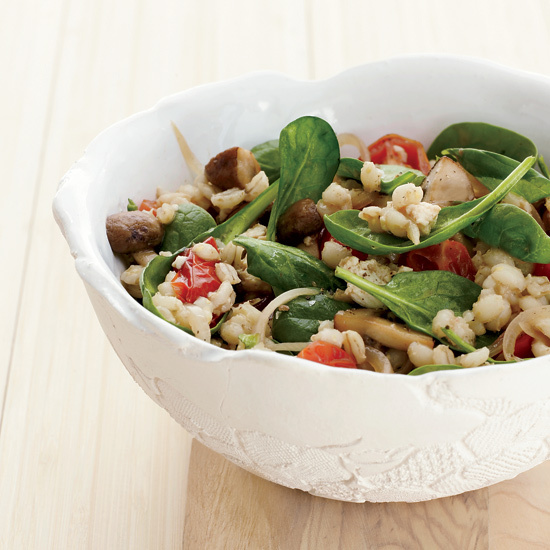 This spinach and quinoa salad is all you need on a hot summer day–easy to make and so very refreshing to eat. 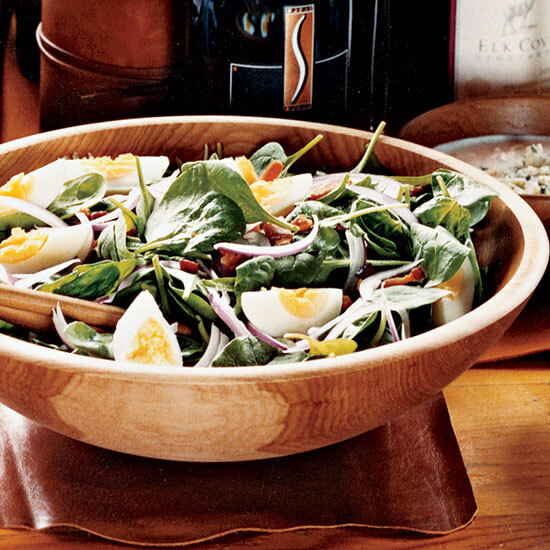 Vitaly Paley uses crinkly spinach leaves instead of shredded iceberg lettuce in his satisfying version of the classic Cobb salad because he thinks they add more flavor. 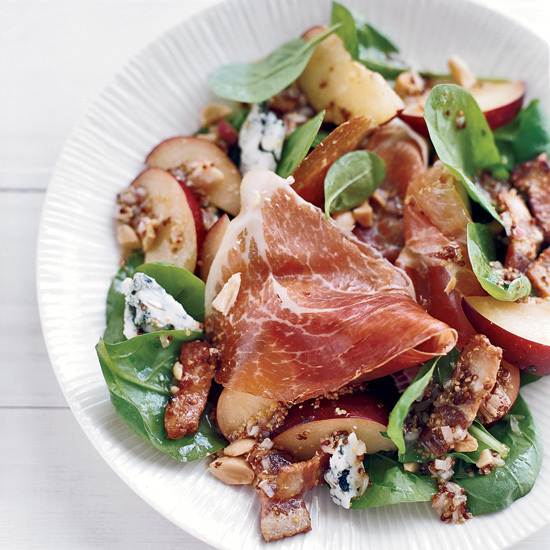 For the dressing, he favors a pungent, creamy blue cheese like Roquefort, Point Reyes Original Blue, Rogue River or Maytag. 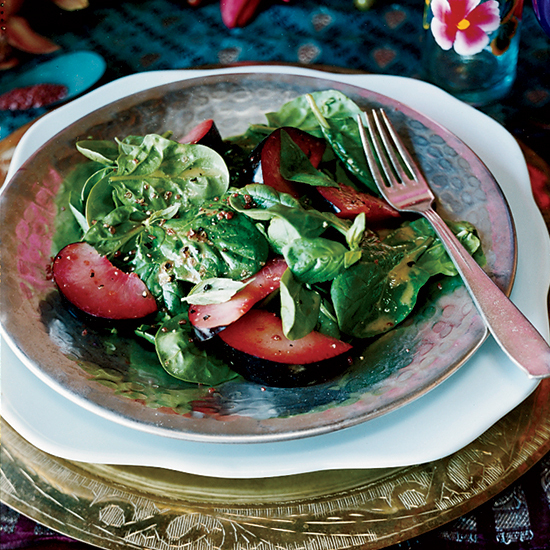 Padma Lakshmi likes using yuzu (a sour Asian citrus fruit) in the vinaigrette for this salad, a simple but bold combination of spinach, basil and juicy plums. 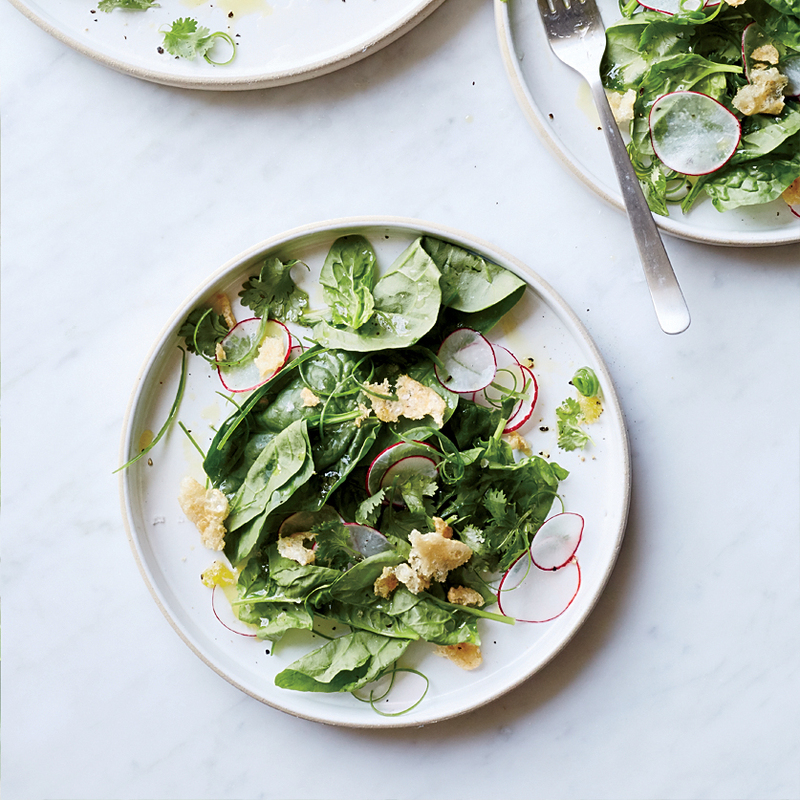 Yuzu can be hard to find, so a mix of lemon juice and lime zest is equally good here. 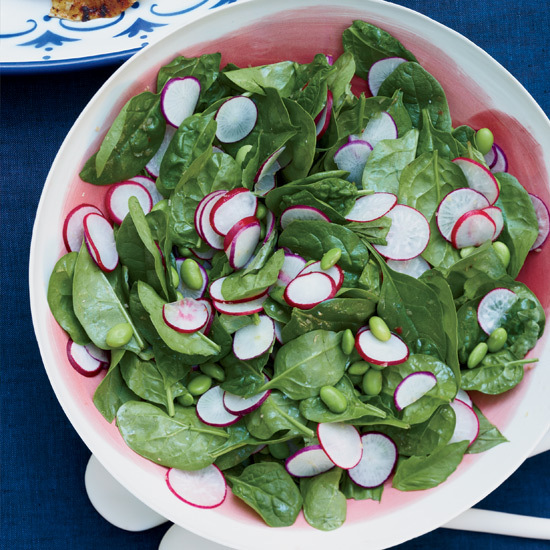 Finishing the salad with flakes of sea salt gives it a nice unexpected crunch. 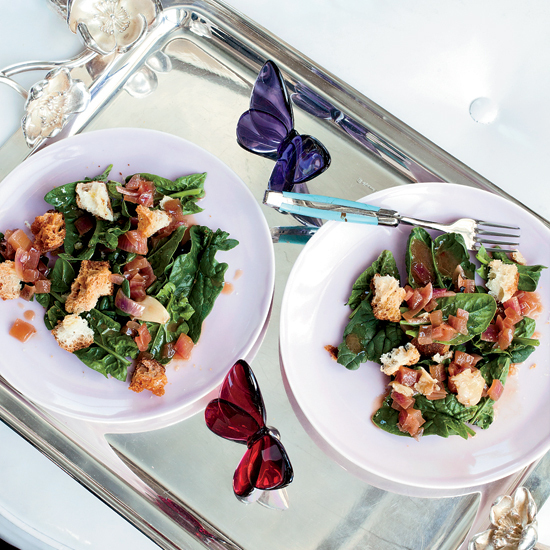 F&W's Kay Chun makes her version of spinach salad with loads of cilantro, scallions and lime juice, then subs in crunchy pork rinds for the usual bacon. 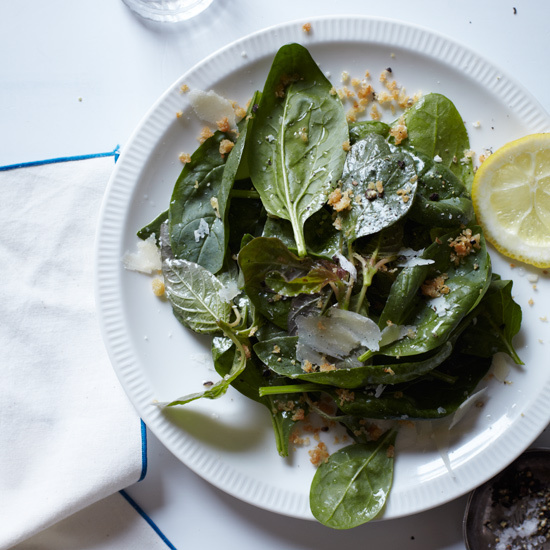 Leafy greens like spinach provide a huge amount of nutrients, especially vitamin A and vitamin K.
In the Piedmont region of Italy, the warm anchovy-olive oil sauce called bagna cauda is typically served as a dip for vegetables. 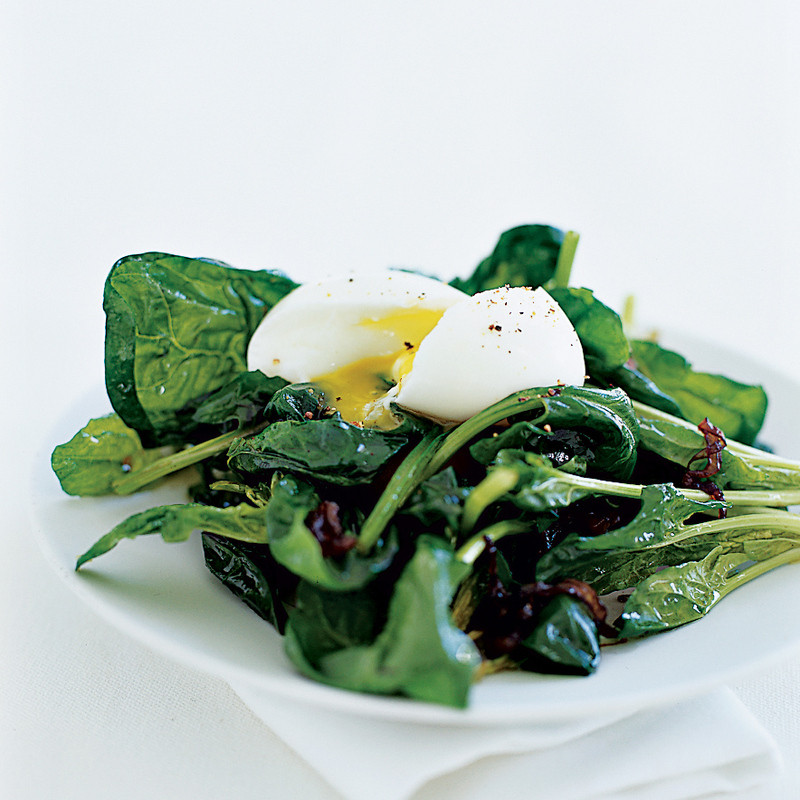 Here, Justin Smillie turns it into a warm dressing for baby spinach, adding fresh bread crumbs for crunch. 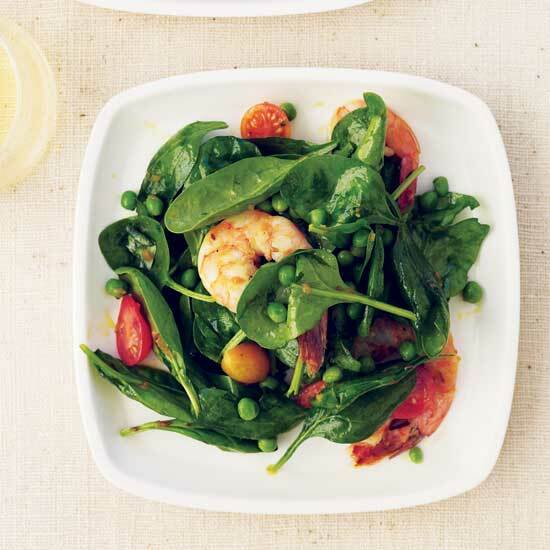 The warm chile dressing adds a unique flavor to this spinach and shrimp salad.